Hi, new member here. I have been reading this forum for months to help with my project corvette that I recently purchased, it's a '90 C4 with the L98 engine. I could use some help with this car. This car sat for the last 5 years, with an occasional start up and run around the block, so it need some love as you would expect. It has a coolant leak. There is white smoke coming out of the exhaust, and the #7 (rear most spark plug on the driver side) was very clean compared to the other 7 plugs that I just swapped out. So my first thought is a leaking head gasket, but it is not overheating. Granted this car is not on the road yet, many other things to fix, but the short 4 mile run around the neighborhood tonight did not show any signs of overheating. The temp gauge stayed steady, unless I stopped and idled and then the temp crept up, and the cooling fan turned on, and the temp lowered, as I would expect. 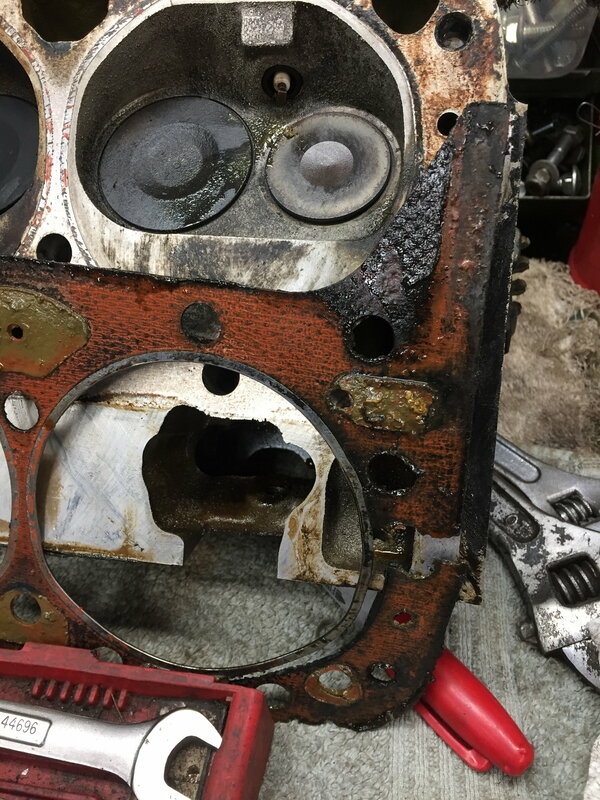 Some of the threads that I skimmed made mention that there may be a intake gasket leak. This is an easier job to fix than a head gasket replacement. Can you guys please help me narrow this leak down. 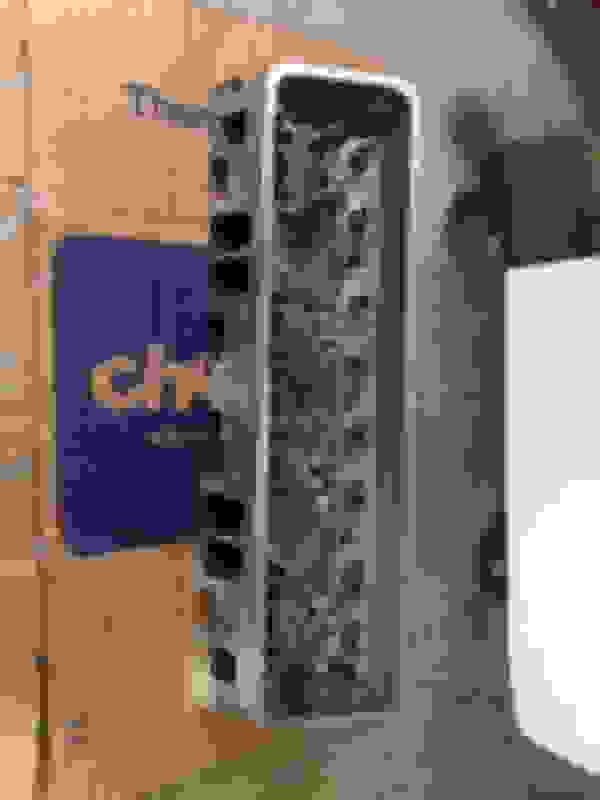 I don't have a whole lot of experience with the Chevy 350 engine. I have been working on getting this car back together for nearly 4 months and want to wrap this up, now that the snow is gone and nice weather is here. Sorry to hear your troubles. My brother had an LT4 and feared a head gasket leak, but turned out to be the intake gasket. So, there is some hope. I am not at all a mechanic and have no place giving advice, but a compression test is something you can do yourself and it may be useful. I am not sure, maybe someone else can comment if cylinder pressure/leak-down can help identify a problem. For what it’s worth, the 350 in my truck (1999) also had a bad intake gasket with the attendant internal coolant leak. It kept running low in coolant like I was feeding it kool-aid. My problem was my heater control valve leaking. what about the white smoke? just condensation? I too think a compression check would be the next step. leakdown. when i did mine, my coolant reservoir began bubbling. thats how i knew i had two comprimised cylinders. Last edited by thynes; 04-23-2019 at 11:05 AM. So I dug in to the engine last week. 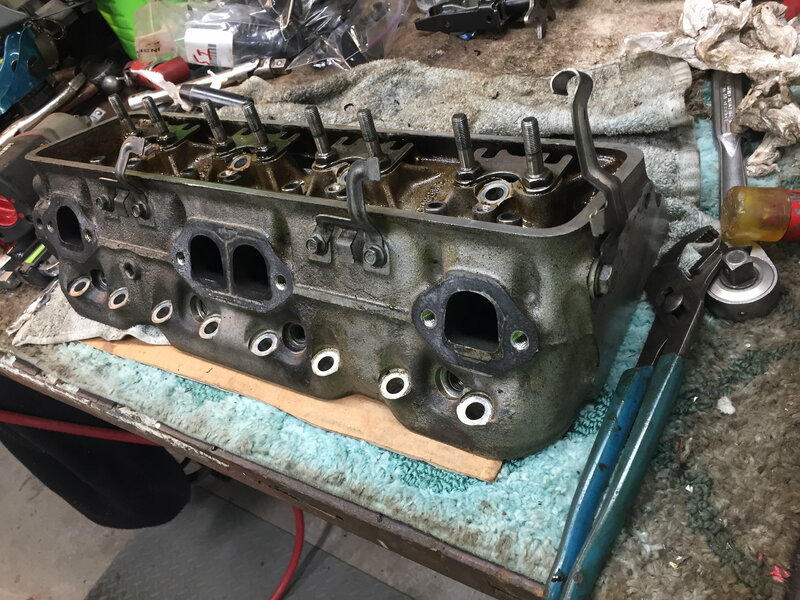 I pulled the drivers side head and found a bad head gasket on the #7 cylinder. I also found the combustion chamber and exhaust port "steam cleaned", as expected. As long as I was there... I also pulled the passenger head off to replace the gasket. 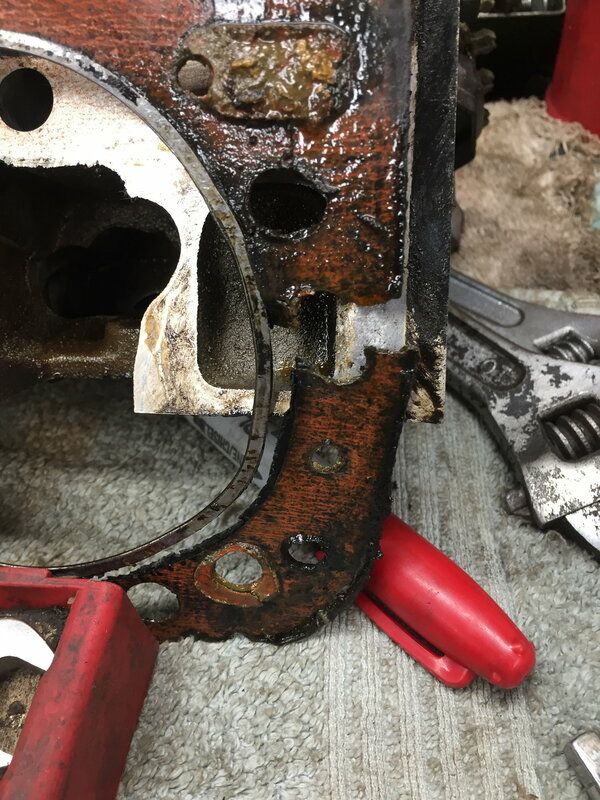 The gasket for the passenger side looked fine, so I probably could have left it alone, but it would still be in the back of my mind wondering if it was a ticking time bomb. So I dropped the heads off at the machine shop yesterday, to have them give it a once over. I didn't see any cracks, but they will probably skim the heads to help with the sealing when I put it back together. They will also look at the valves; I don't think they looked too bad, and the sealing surfaces lapped up reasonably well for an engine with 120,000 miles. I ordered up new, rebuilt Bosch injectors today. I will also replace the water pump, as it is cheap and only 4 more bolts to remove it. Does anyone know of a source, or part numbers, for the spark plug wire holders/retainers that clip on the heads, my were missing/damanged?